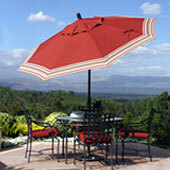 Scarborough Gardens Patio Shop carries everything you need to meet your outdoor and indoor patio needs. 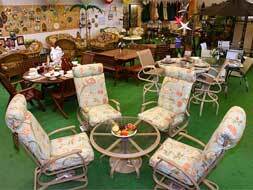 The Patio Shop features outdoor furnishings, benches, sun shades, potting tables, door mats, outdoor clocks, outdoor heating lamps, umbrellas and cushions. Come on in and take a look at our selection of furniture covers, hammocks, swings and park benches too. 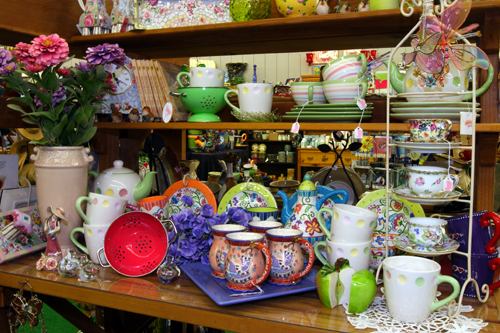 In the Patio Shop, you’ll find a huge range of products at affordable prices—we’re sure there’s something you want and can afford! Getting ready for an evening of alfresco dining? 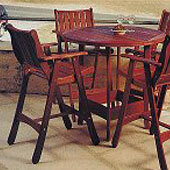 Visit our patio shop for the best in dining tables, cushions, umbrellas, bistro tables and more. At Scarborough Gardens Patio Shop, we have what you’ll need when you’re ready to sit by the fire or keep warm on a cool summer night, or if you’re throwing the biggest BBQ in town! 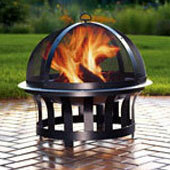 Come on in and see our BBQ’s, propane and electric heaters, wood and electric fire pits and chimineas. Stripes and Prints, brightly colored or neutral—whatever you need in the way of patio cushions or umbrellas, we can deliver! Customizing your outdoor space has never been easier!